Therese is Head of the firm’s corporate department where she manages a broad-based corporate and commercial practice. Therese has extensive experience in public company fundraisings, placings, takeovers and AIM market compliance. She also advises private companies in many sectors including technology, resources, biotechnology, food, manufacturing, and renewable energy, on a wide range of matters including raising finance, venture capital, mergers and acquisitions, MBO’s, MBI’s and corporate governance. She also represents private investment ‘business angel’ funds. Therese and her team also advise extensively on technology contracts for the IT Sector. Therese became a partner in the firm in 1997, having practised in the City of London for a number of years. She is a member of the Executive Council of the Irish Software Association. Therese appears in International legal directories and is recommended as a leading lawyer by Chambers Europe and The Legal500. Therese was awarded the “Lawyer Monthly, Women in Law 2015 Award” in recognition of her legal expertise and contribution within the practice area of AIM Market Law. Therese is praised for leading the corporate team which “achieves client’s goals rather than pointing out the pitfalls“. Therese is described by clients as “very thorough – she will get a rounded understanding of the challenges and objectives, always fully appreciating the endgame”. Therese is described by clients as “very practical, solution focused and very hands-on.” She has significant experience in advising clients in the mineral and resource sectors. WhitneyMoore’s corporate practice is once again recommended with Therese Rochford leading the team. WhitneyMoore’s corporate practice is described as ‘business savvy’ and Therese Rochford praised as ‘a sheer delight to work with because she is responsive and commercial’. Therese is recommended by clients and described as “terrific”. WhitneyMoore’s corporate practice is described as ‘top-class’ and Therese Rochford praised as ‘fantastic to deal with’. Sources note that “WhitneyMoore is highly capable and ethical, and always has an eye on its client’s needs”. 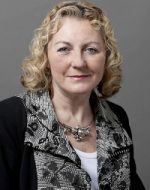 The corporate team is led by Therese Rochford. The highly regarded Therese Rochford heads WhitneyMoore’s team, which acted for Xstrata Zinc on the $17m conditional agreement to acquire certain lead and zinc interests from Minco.